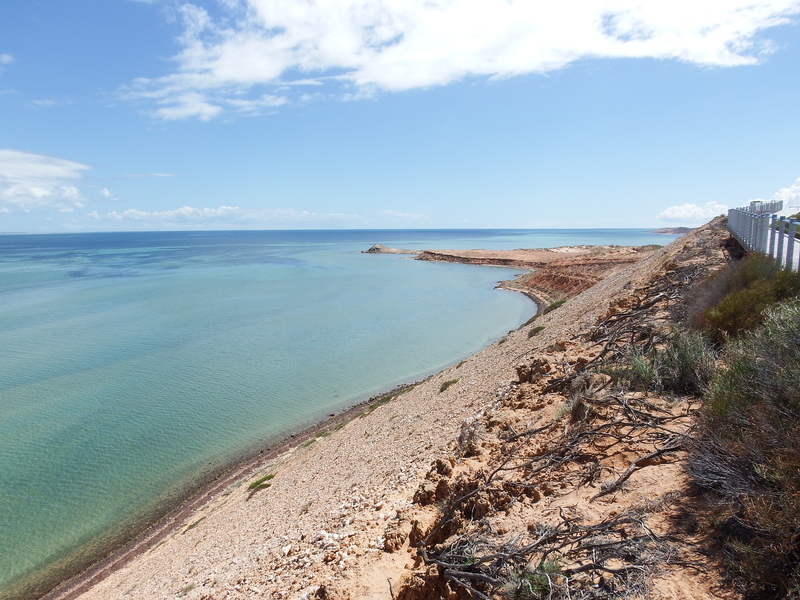 The turn off from the North West Coastal Highway neat the Overlander Roadhouse onto the Denham-Hamelin Road is the start of the Shark Bay World Heritage Drive. 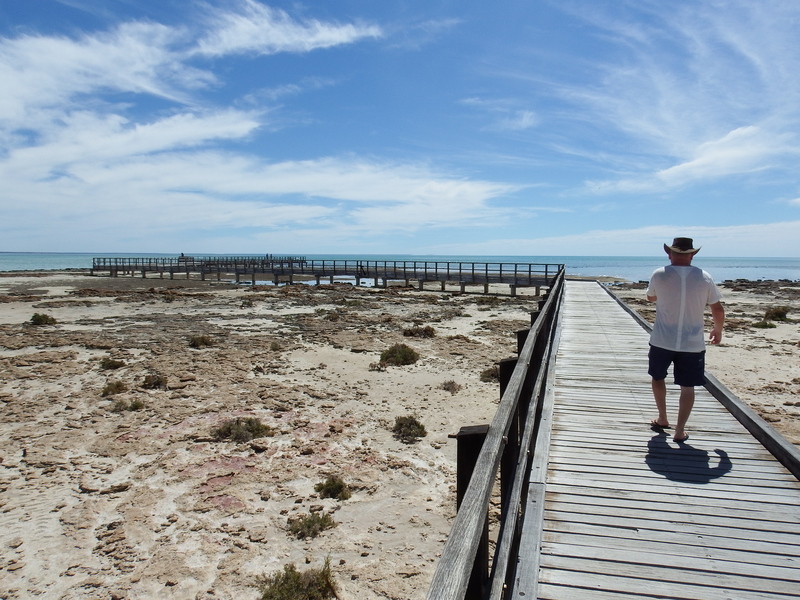 We stayed at the Hamelin Station Stay which is about 30km’s from the turn off. This was once a sheep station but has recently been bought out by a Bush Heritage Australia, which has plans to remove feral animals and use the property as part of a conservation measure. The campsites were large and level. There are no powered sites and water for toilets and showers is bore water so has a salty taste, but limited fresh rainwater is available from tanks for consumption. We found the station to be a great place to stay with one of the best amenities blocks we’ve come across. The old shearers kitchen is now a fully stocked campers kitchen and a great patio area for BYO happy hour to meet other travellers. 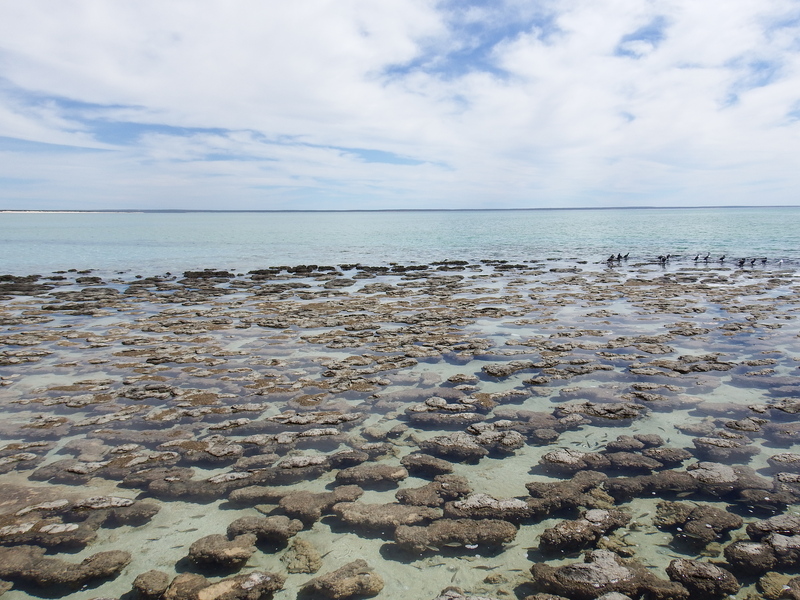 The nearby Hamelin Pool is home to the very rare living marine stromatolites, similar to the ones we saw at Cervantes. These living creatures contain microbes similar to those found in 3.5 billion year old rocks. The earliest recorded life on earth. We walked along the boardwalk and read some of the information signs about these lumpy rock looking things. Another attraction not too far from the station is Shell Beach. 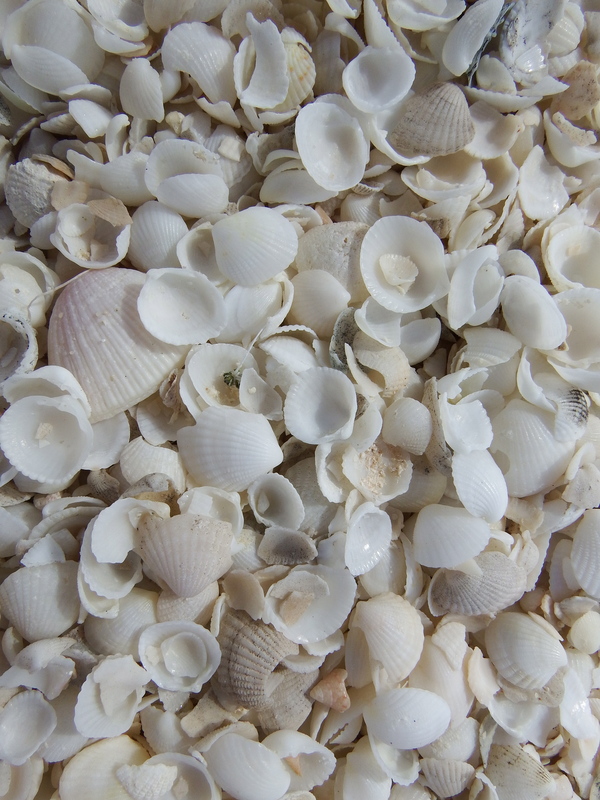 Instead of sand this beach is covered in tiny shells from the Hamelin Cockle. 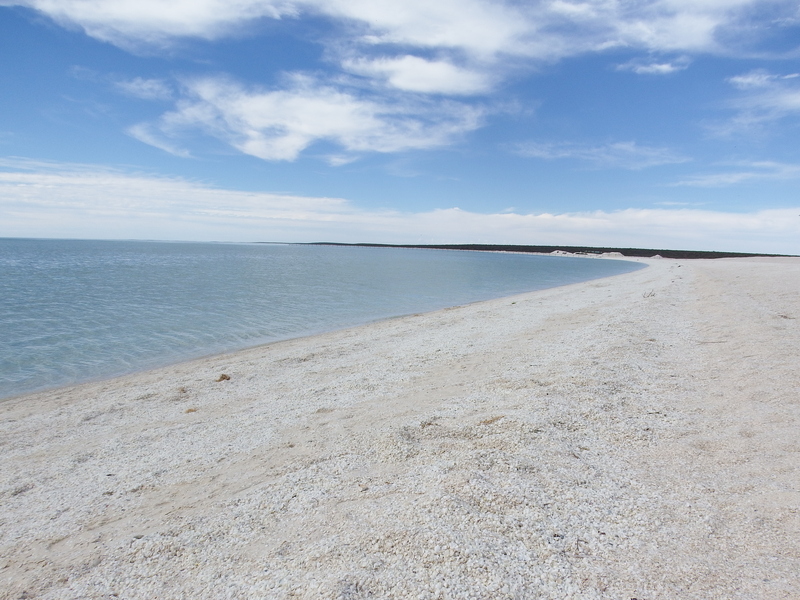 The brilliant white shells can be up to 10m deep along this long beach, with the water appearing brilliant turquoise colour when the sun is shining. 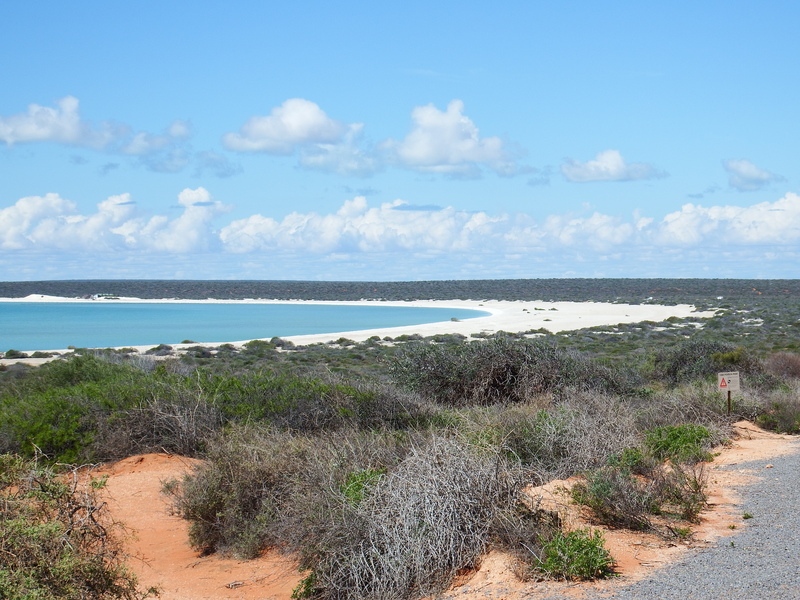 The next attraction along the heritage drive is Steep Point, the western most point of mainland Australia. We wrote about our visit here. 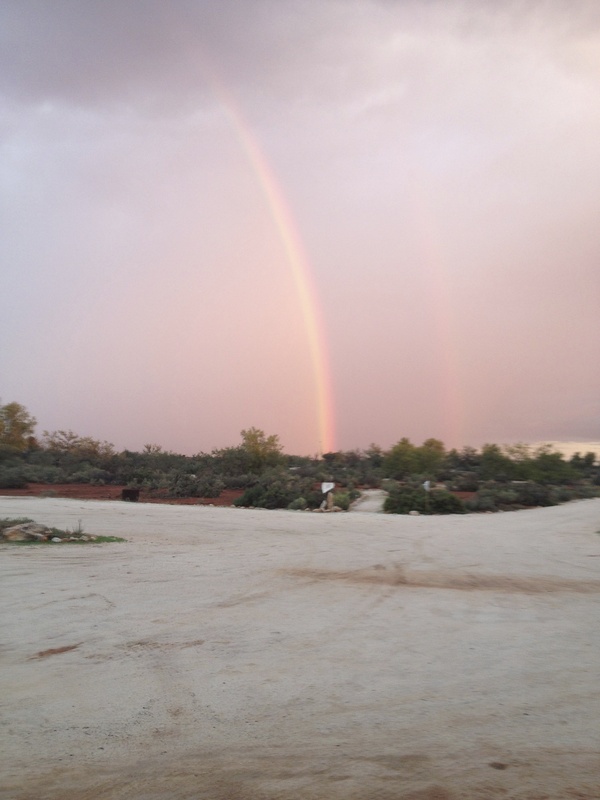 The Eagle Bluff lookout is close to the town of Denham and is a short, 2WD accessible dirt track from the main road. From the car park there is a boardwalk that has panoramic views of the water below where a variety of wildlife can be seen. 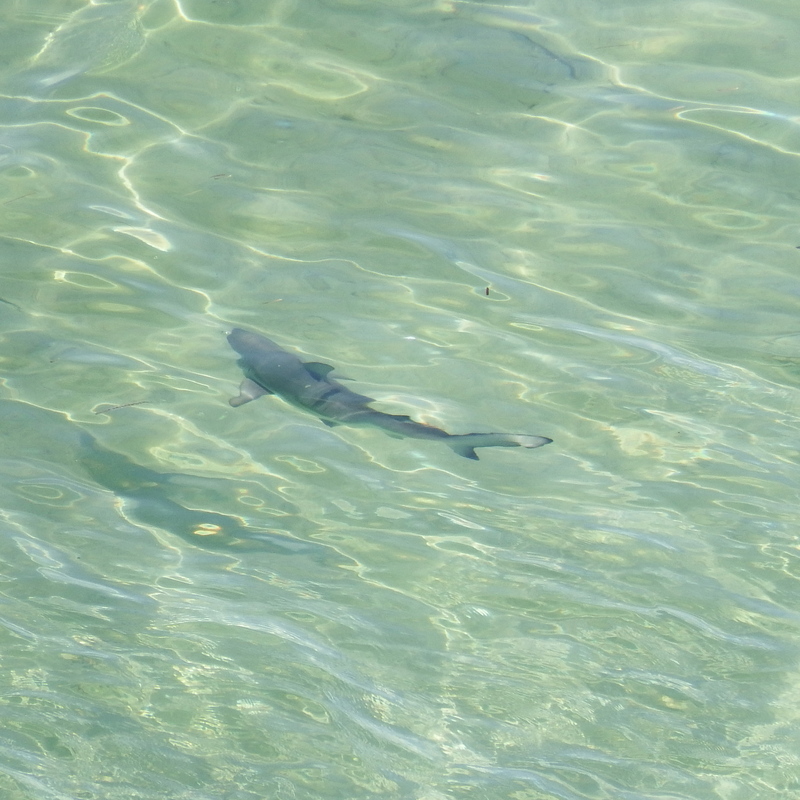 We saw a couple of sharks, stingrays and turtles on our visit.